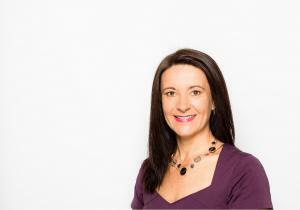 Experienced pharma and biotech senior executive Dr Nina Webster to join the Company effective today. • Phase 2 clinical trials in Diabetic Kidney Disease and Focal Segmental Glomerulosclerosis on track to commence recruitment this quarter. Dimerix Limited (ASX: DXB), a clinical stage Melbourne-based biotechnology company, has announced the appointment of Dr Nina Webster to the role of Chief Executive Officer (CEO) and Managing Director of the Company, effective today (27 August 2018). Incumbent CEO Kathy Harrison will move into the newly created role of Chief Operating Officer (COO). Both appointments are in line with the Company’s plans to bolster its executive leadership as it moves toward the imminent commencement of two phase 2 human clinical trials for lead program, DMX-200, which is a novel therapy for Chronic Kidney Disease indications developed using Australian science. Dr Webster brings over 25 years of global experience in both biotechnology and pharmaceuticals, beginning her career in new product development with Wyeth Pharmaceuticals (now part of Pfizer) in the UK before moving to Australia. She has held a number of senior executive leadership roles and has also held responsibility for business development, investor relations and prosecution of intellectual property matters, as well as leading and managing the strategic, scientific and operational aspects of product development. In her most recent role, Nina was Commercial Director of Acrux Limited (ASX: ACR), where she was responsible for the strategic identification, development and maintenance of commercial partnerships globally, the intellectual property portfolio and investor relations. Whilst at Acrux she had a lead role in multiple commercial transactions with global pharmaceutical companies that collectively have netted over $300 million in revenue to date, and she prosecuted several complex US-based intellectual property matters. Prior to that she was the Director of Commercialisation & IP for Immuron (ASX: IMC). Dr Webster holds a PhD in Pharmaceutics (Drug Delivery) from Cardiff University, a Bachelors Degree in Pharmacology, a Masters Degree in Intellectual Property Law from Melbourne University and an MBA from RMIT. Executive Chairman, Dr James Williams commented, “With Nina’s appointment, Dimerix has completed the executive team build out. Nina brings a focus on external business development and investor relations, and the ability to lead the established operational team, which is focused on executing our expanded clinical programs to deliver maximum value from our assets. “I am delighted that the Company has attracted someone of Nina's calibre to join as our CEO. She has demonstrated abilities in partnering out commercial assets, brings strong capital markets relationships and provides another dimension in experience to the already solid internal intellectual property capability. We welcome her to the role. Commenting on her appointment, Dr Nina Webster said, “I am delighted to be joining the team at Dimerix at an exciting time. Kidney disease is a growing global issue that needs to be addressed and I believe Dimerix has a significant part to play. Dimerix Limited’s (ASX: DXB) wholly owned subsidiary Dimerix Bioscience Pty Ltd is a clinical-stage pharmaceutical company committed to discovering and developing new therapeutic models identified using its proprietary assay, termed Receptor-Heteromer Investigation Technology (Receptor-HIT). This assay enables the identification of pairs of receptors that function in a joint manner (interact) when ligands, small molecule drugs, peptides or antibodies, bind to them. The Receptor-HIT technology was used to identify DMX-200 in an internal drug development program, initially for the treatment of a subset of patients with chronic kidney disease. For more information see www.dimerix.com.